To enable us to give you the right advice, we will need to hold some personal information about you. The Data Controller in relation to any personal data you supply is The Independent Mortgage Centre and any information you give will be processed in accordance with the General Data Protection Regulation. To enable The Independent Mortgage Centre and our representatives to manage your dealings with us. We may use personal information supplied to meet your needs in arranging a mortgage, loan, protection and any associated arrangements. Data will be processed in the legitimate interest of the business. To disclose information to any third parties relevant to the transaction; such as lenders, insurers, lending specialists or contracted software providers. Data will be processed in the legitimate interest of the business. 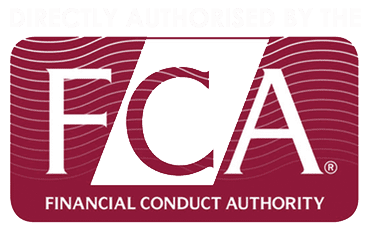 For compliance monitoring purposes, your data may be made available to the Financial Conduct Authority. Data will be processed in the legitimate interest of the business. To allow The Independent Mortgage Centre or their representatives to conduct compliance monitoring, to prevent financial crime, and to contact you for the purpose of ensuring you have received adequate advice. Data will be processed in the legitimate interest of the business. We will generally keep your personal data for a minimum of 6 years after our business relationship, after which time it will be destroyed if it is no longer required for the lawful purpose(s) for which it was obtained. The business relationship will usually be classed as over once we are aware any mortgage or insurance product has ended. We will ask you to consent to sending you information about our own products and services, by post, telephone, email and SMS. We will contact you for a maximum of 5 years unless you renew your permission. In addition to the basic data described above, it may also benefit you to notify us of any health condition or disability you have, so that we are aware of these conditions. This type of information is known as ‘special category information’ (you may also know this as ‘sensitive personal data’) and we require your explicit consent to process this information. This kind of information will only be collected from you and used by us to assist you in connection with an insurance application, as such it may be shared with an insurance company in order for them to consider your application. Some insurers may give you the option of speaking to them directly with this information. If you wish to raise a complaint about how we have handled your personal data, including in relation to any of the rights outlined above, you can contact martin.wilkins@imcmortgages.co.uk and they will investigate your concerns. If you are not satisfied with our response, or believe we are processing your data unfairly or unlawfully, you can complain to the Information Commissioner’s Office (ICO). You can find further information about the ICO and their complaints procedure here: https://ico.org.uk/concerns.